SSC has released its Exam Calendar for year 2016. This calendar contains the list of all SSC Exams which will be conducted from Jan 2016 to Dec 2016. 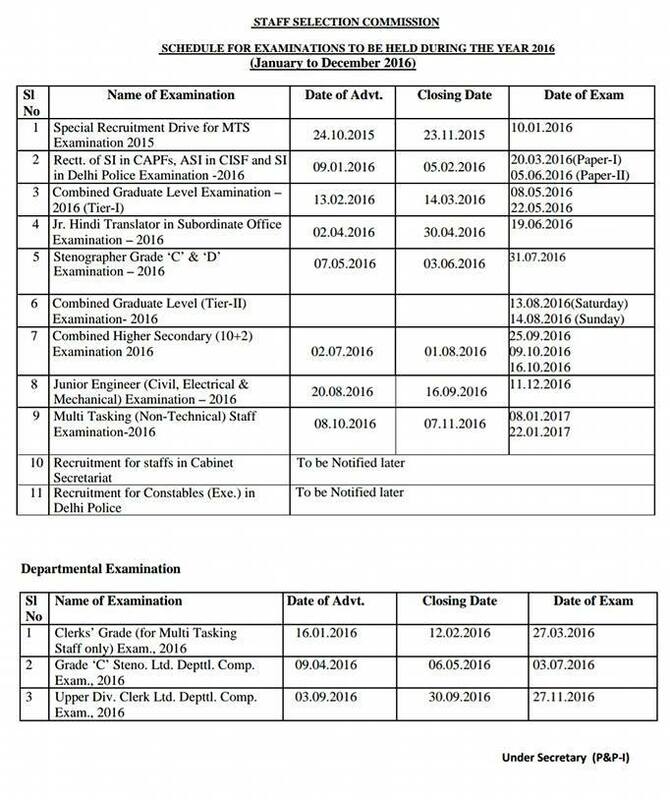 If you want to download the PDF file of this exam calendar, click on below given link.